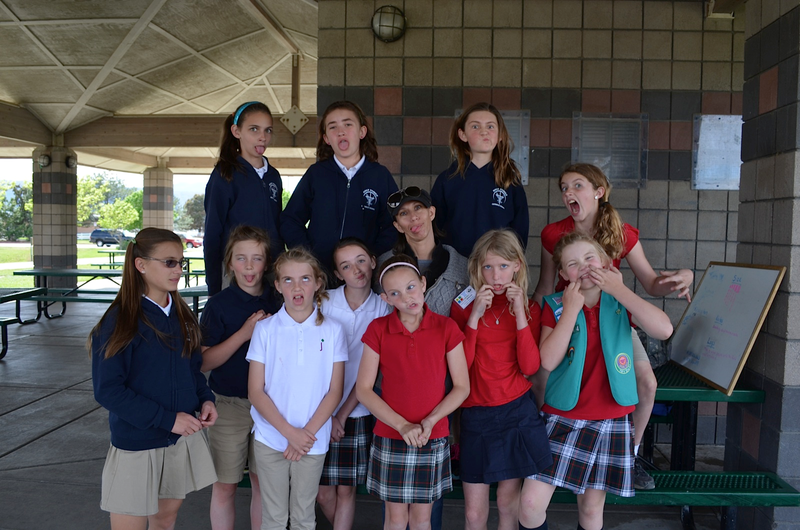 The final in our series of “girl lead” badgework for Juniors is Playing the Past. Through Playing the Past girls get to Dream up a character for themselves as a girl or woman who lived in another time period. You could be a poodle skirt-wearing Girl Scout from the 1950s, a Wild West cowgirl, a medieval duchess or maybe a Japanese princess from long ago. They could choose to be someone who really existed or a historical woman from imagination. Three girls and one leader led this group. To prepare, they had a meeting and the girls decided they were going to be pilgrims and native Americans. 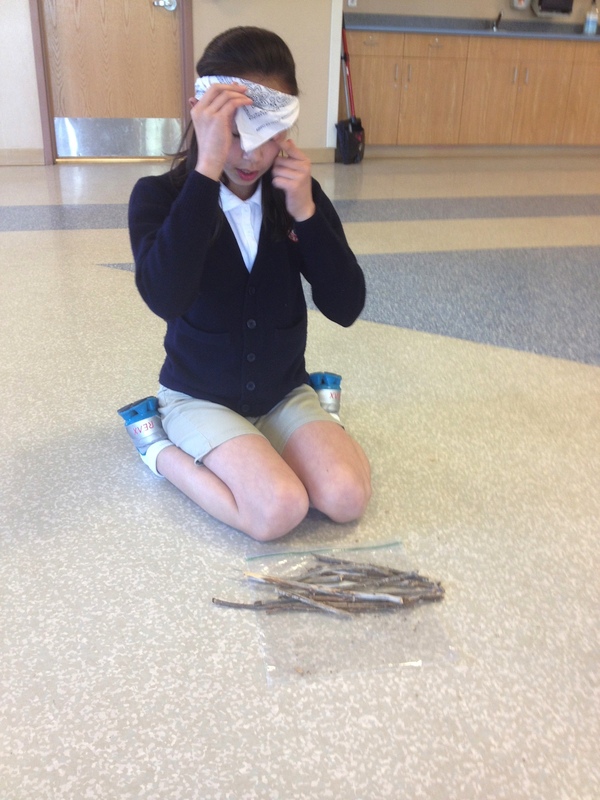 They then ssigned tasks which were to be finding out info on what it was like to be a native American and pilgrim and finding games of the time. 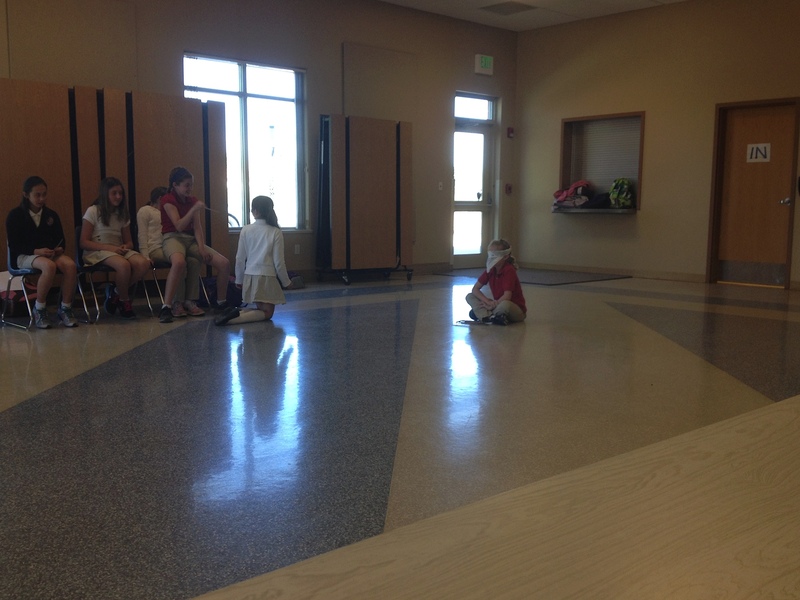 During the meeting one girl pretended to be interviewing a tribal elder and a Pilgrim leader. 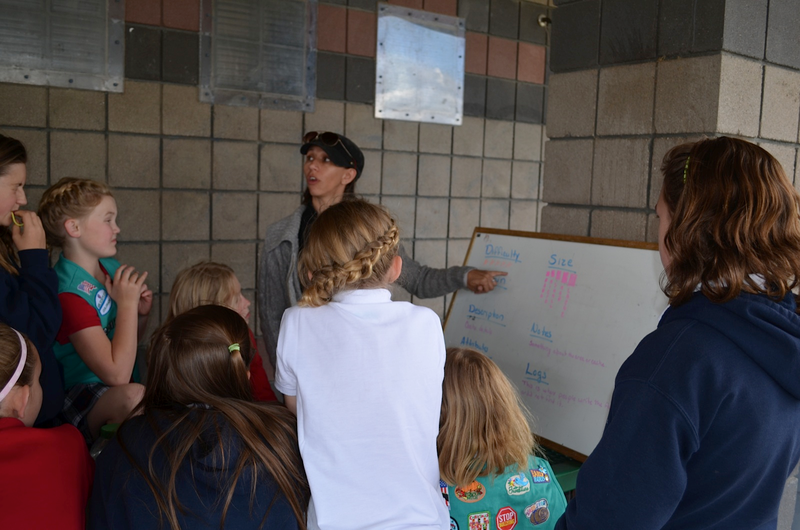 The mock question-answer session was filled with information that helped the rest of the troop learn more about girls in these two time periods. Additionally, there were two games played, one from each time period. 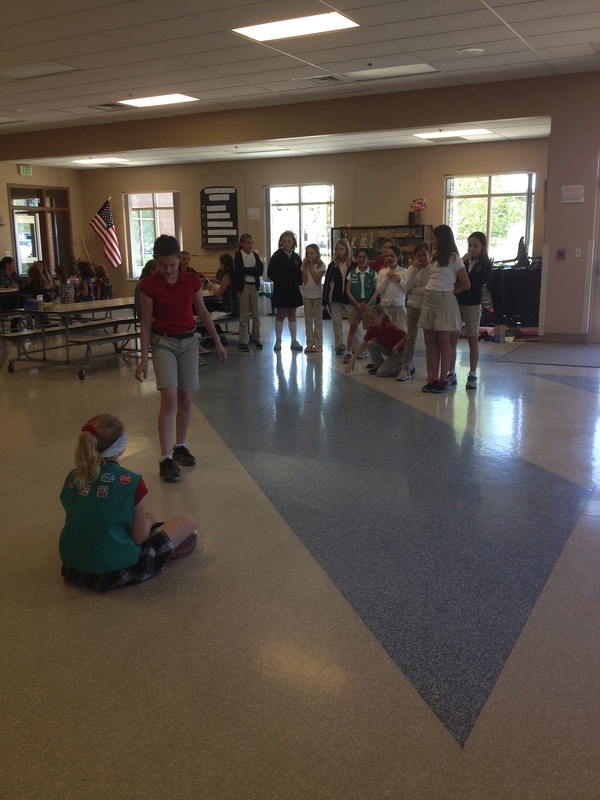 The girls really enjoyed throwing themselves into a non-electronic age game….it was silly! Geocaching is a chance to be part global explorer, part detective. 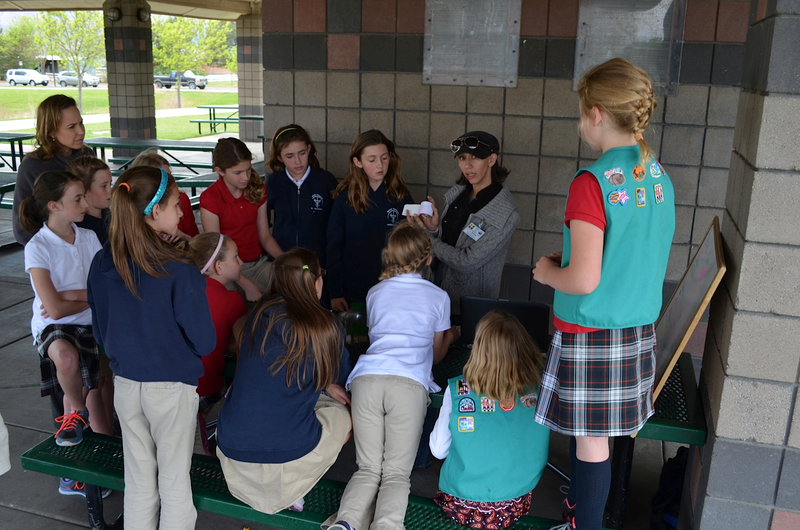 Through this activity girls search for treasure chests called “geocaches” using a GPS receiver that helps find each chest’s secret hiding place. 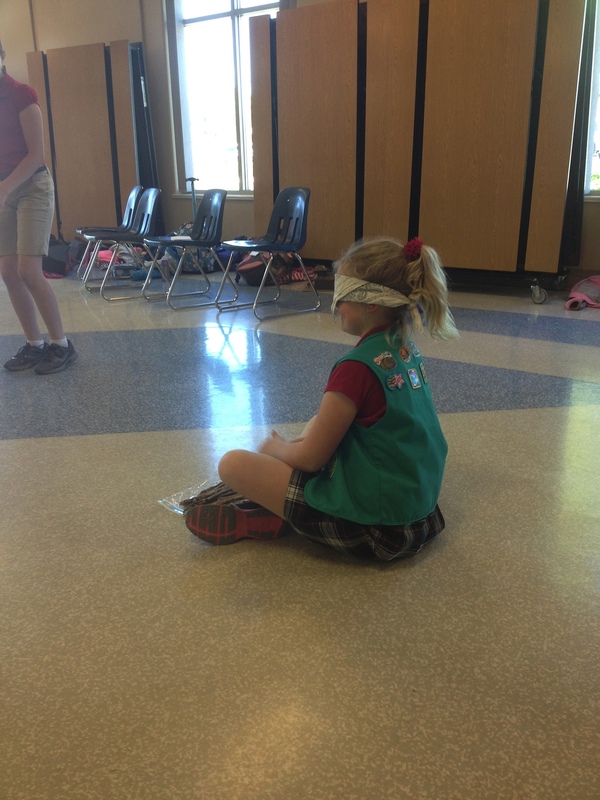 They then add a trade item (or as girl scouts might call them a swap) to the cache to indicate they had been there. Did you know there are over 1million hidden geocaches all over the world! 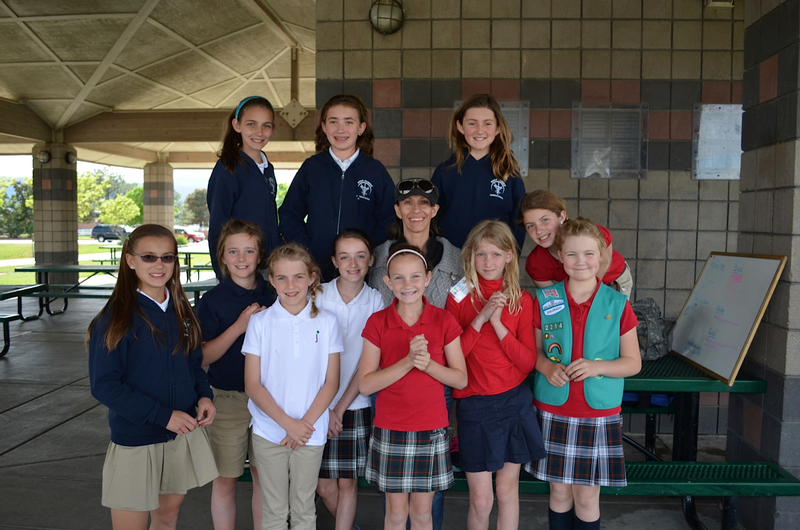 Continuing with our “girl-lead” meetings, two girls with supervision by one leader, worked on the Geocacher badge. 1. Prepare for your adventure – the goal of a geocaching adventure is to find a hidden treasure box. 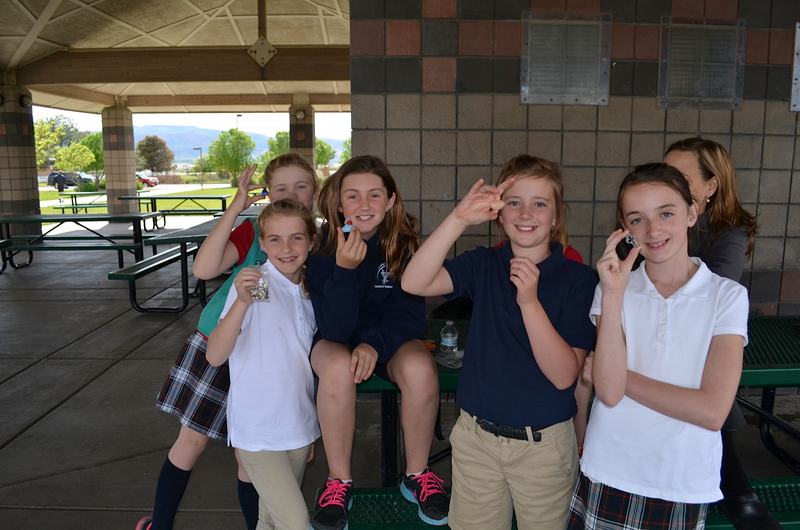 Using a GPS receiver, girls can uncover treasures most people do not know exist! 2. 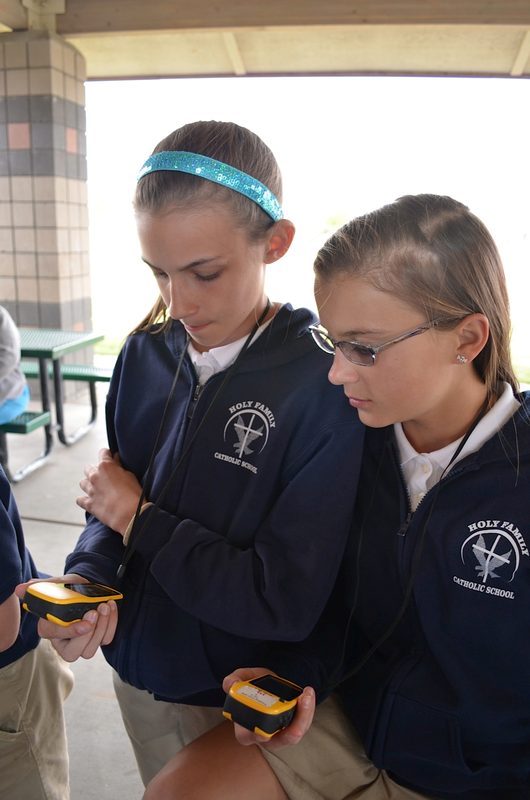 Learn to use a GPS receiver – in order to find their way to a hidden treasure, girls needed to zero in on coordinates of longitude and latitude. 3. Make a trade item – every cacher needs to carry an item they will leave at the site. This item should be small enough to fit inside the box and should not be expensive. Step number one of this adventure, during the planning phase, is to get EXPERT information. Thankfully, one of our local radio station DJs, Mackenzie Dodge (Mack) from KEKB is an avid geocacher and was willing to help us out! 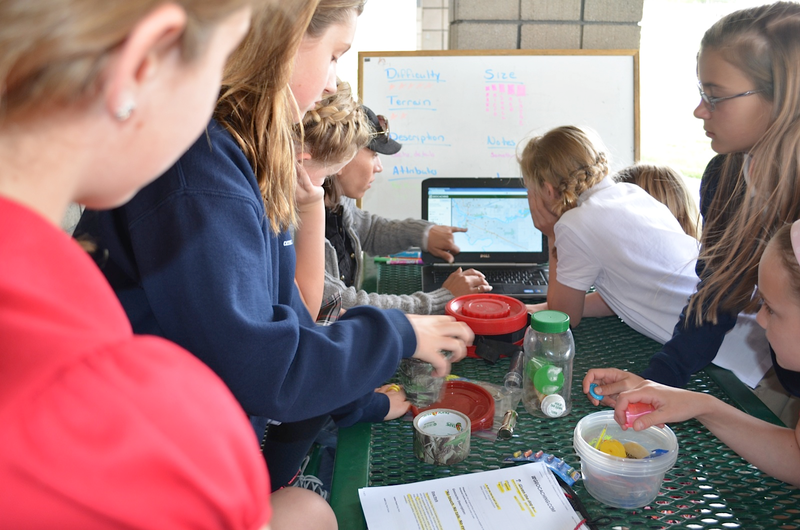 Mack helped the girls by setting up temporary caches in a local park, showed them how to work with their GPS units, how to read information on her laptop and helped them find all caches. She even brought them each a trade item to drop in and pick out of the caches. Our two Junior leaders made rainbow loom bracelets as the troop’s trade items, in compliance with step number 3. 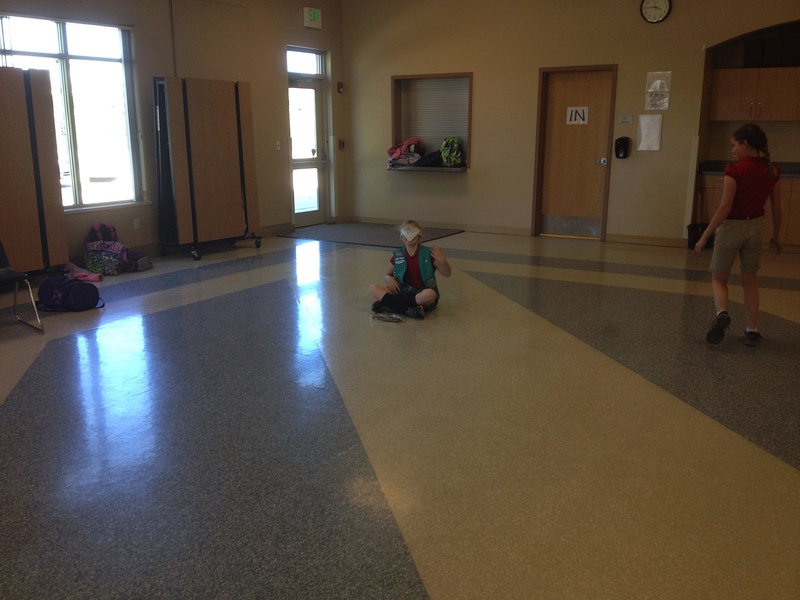 Through research, in order to complete the last step, the girls decided to follow their bug to beaches around the world! Pretty cool as we live in a land locked state! FUN FACTS – A traditional cache is usually a small waterproof container with a logbook inside but sometimes there are multi-caches were two or more locations are involved, like a scavenger hunt! The final location is where the actual physical container rests! Also, there are things called Mystery of Puzzle caches were a puzzle must be solved before even knowing the coordinates. A VERY SPECIAL thanks to Mack for ALL her help and guidance on this badge!! !